Directions: From the traffic light at the west end of AR62/412 (bypass) in Mountain Home, take 62 West to Yellville). Continue into Yellville passing County Court House, through city of Yellville until you get to the top of hill, then turn due west on Hwy 62W. Your destination is on immediate right. Dana Johnson, a native Texan, finds her source of inspiration in the Ozark Mountains, and the experiences she has when meeting the interesting people that live in the area. Johnson works with multiple mediums, allowing subject matter to dictate whether it will be oil, pastels, acrylic or watercolor. “I want my students to see by working with the negative space and see color by understanding values,” says Johnson. Johnson offers private art classes for all ages and levels of ability in her studio. She also teaches additional adult classes through North Arkansas Community College, continuing education in Harrison, Arkansas, and offers workshops throughout Arkansas and Missouri. Although Johnson describes herself as self- taught, she does have some formal training, and was mentored by artist and teacher, Jo Rowell. Currently, Johnson is the President of the Palette Art League, the Area Art Club and White River Artists. 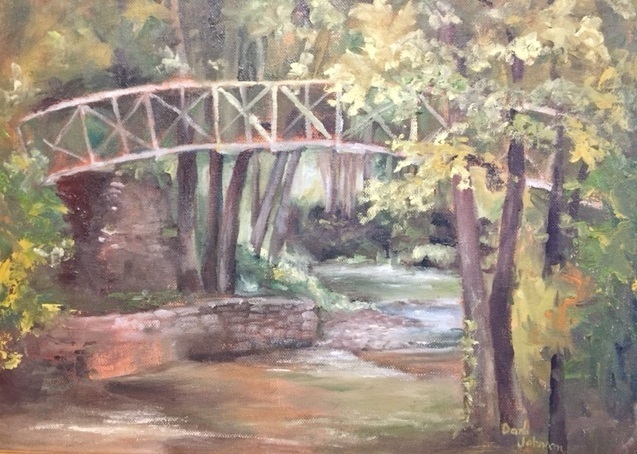 She is also a member of the Mid-Southern Watercolors, Arkansas Pastel Society and serves on the board of the Ozark Regional Arts Council. Dana has showcased her art as a participating artist on The Art Odyssey studio tour, but recently became more involved in the organization, and is now serving as The Art Odyssey’s Committee Chair. Johnson’s artwork is featured in numerous galleries and private collections in the United States and various European countries. 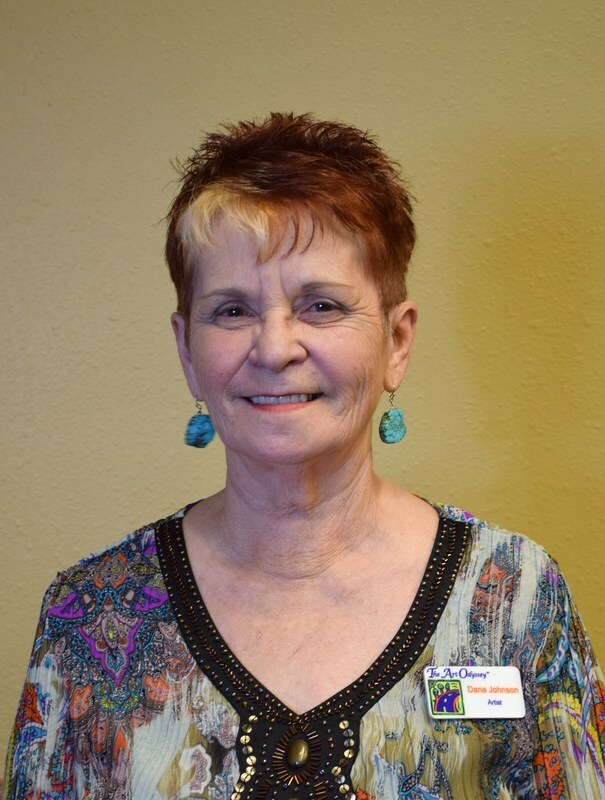 Her work can also be seen in “Art with a Heart Animal Publications,” “Art and Artisans of the Ozarks, Vol 1 and 2," and as a contributor to the Sunny Dale Knoll children’s book series. Johnson has been a participant in the “Annual Delta Art Festival” in Newport, Arkansas for eight years. She has also received the cherished Grumbacher Gold Medallion numerous times for her pastel artwork, Best of Show and other top awards in competitions. Her artwork is available for purchase online at www.paletteartleague.org, and www.danajohnsonfineart.com, or at Dana’s Studio of Art and Gallery in Yellville.